• Simple, intuitive graphic interface. 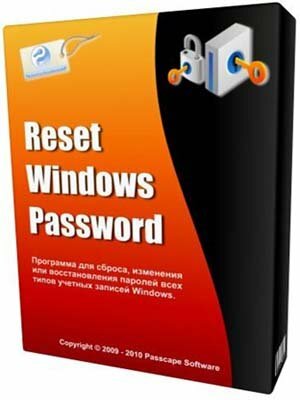 • Resets and modifies passwords of local users and administrators, domain accounts, Active Directory users, DSRM account. • Enables and unlocks user accounts. • Disables the password expiry option. • Dumps password hashes from SAM/Active Directory, domain cached credentials. • Supports all versions of NT-based Windows, including Windows 10. Microsoft accounts are fully supported as well. • Changes account type (from Microsoft Live ID to local), different flags and properties. • All editions include the utility for creating a bootable CD/DVD/USB disk from the downloadable ISO file with the application. • Large collection of IDE, SATA, SCSI, RAID drivers. • Support for BitLocker encrypted drives. • Detects several operating systems installed on the computer. • Supports non-English versions of Windows and passwords in national encoding. • Allows undoing changes made to the system. • Deletes passwords and other sensitive data from the computer. • Searches for lost product keys and serial numbers. • Decrypts the Internet and network passwords. • Search for password-protected documents. • Password recovery for popular Internet browsers: Internet Explorer, Edge, Chrome, Firefox, Opera, Safari, etc. • New feature to recover account passwords for popular e-mail clients. • New feature to search and recover network passwords: LAN, WAN, RAS, DSL, VPN, WiFi, etc. • Russian documentation and help. • New file manager with GUI interface. • Deep code reorganization, enhanced protection. • Update for French and Russian language interfaces. Thanks to Laurent Debard for updating and pointing out some problems.